Hold car seats are tough nuts under layers of squidge. These from-birth burly bodyguards are big softies. Free chest pads, tummy pad and seat liner add to the cosy credentials. Co-ordinating with the Ooba Travel System, these on-board hugs are Oobiform to fit on Oobas cheeky chassis. That means no mid-journey messing about when pulling Ooba manoeuvres; just pop on and off from car seat to high street. Hold holds tight in a happy hug. 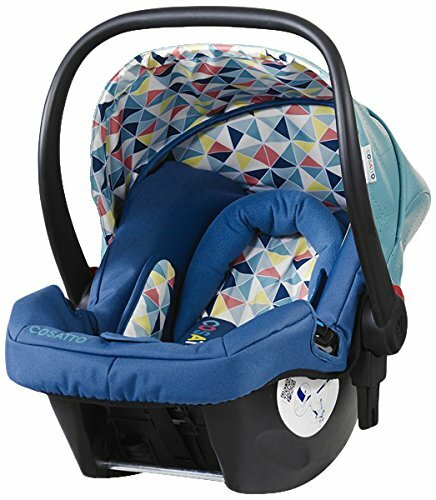 These car seats are easy to get from A to B without waking baby and features five point harness with quick release buckle. Quick release car seat when used with hold belted base and are suitable from birth to 13kg/29lbs.